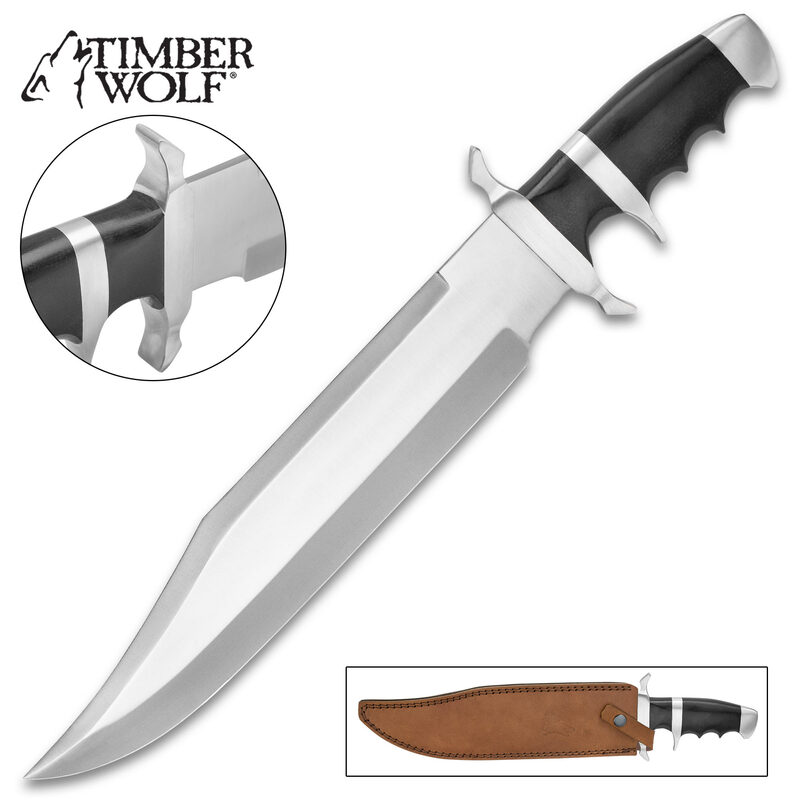 Timber Wolf Massive Micarta Bowie Knife | BUDK.com - Knives & Swords At The Lowest Prices! Yes! You’re absolutely right! This is a wicked big knife! 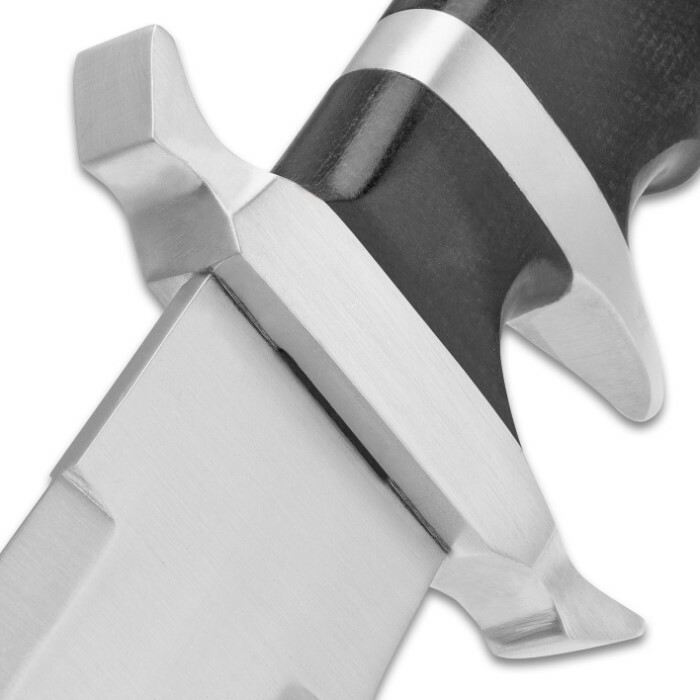 Coming in at 17 1/2” overall, the fixed blade has a massive 12” stainless steel clip point blade that is razor-sharp. 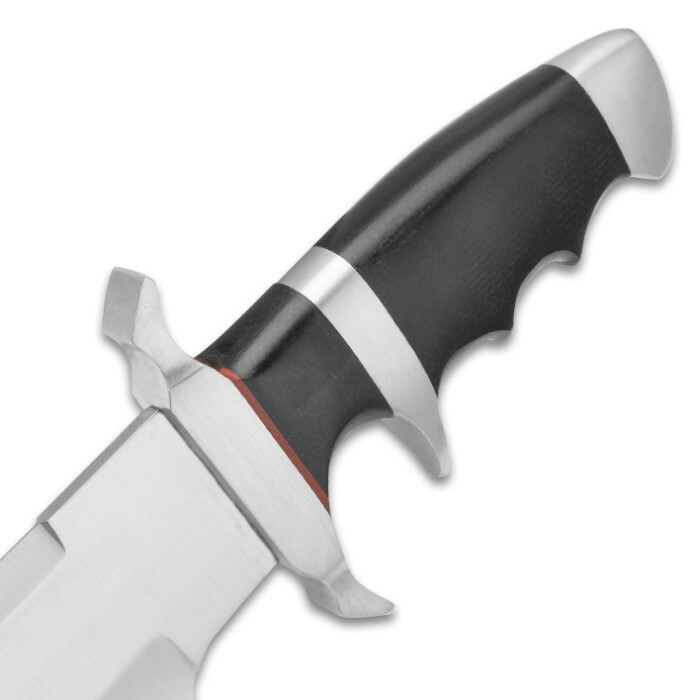 The heavy-duty premium, black Micarta handle has a comfortable grip that gives you a solid hold and the large stainless steel guard keeps your hand firmly in place. There really isn’t much that can stand up to the Timber Wolf Massive Micarta Bowie Knife! Timber Wolf Walkabout Fixed Blade Knife - Hand Forged Damascus Steel - Full Tang - Burlap Micarta - Genuine Leather Sheath - Bowie Tracker Survival Multipurpose Utility Outdoors Chop Saw - 9 3/4"
The knife was as explained , nice and heavy and took a great edge I am a very happy customer with this knife. The knife is worth the money. 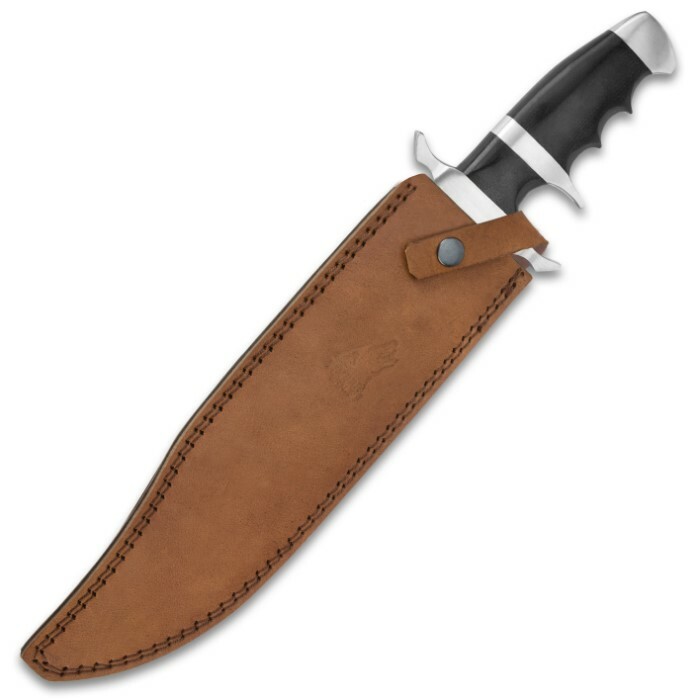 But, I found this type of knife, with this handle design, too restrictive. I like to be able to change blade positions fast if needed. Can't do that, with this knife. My knife is exactly to the specs as described by Bud K. except it wasn't razor sharp as I like my knives to be, but with about 15 minutes work on a 5000 grit polishing stone it is now sharp enough to shave the skin off your face. I was also impressed by the quality of the leather sheath. This is truly an awesome deal! In the last 5 months I have purchased over 40 knives from Bud K with no complaints on any of them, but this one is my favorite. This knife would even make Crocodile Dundee say now that's a knife. Biggest knife I've brought from Budk so far, it's nice but a little unfinished, could have used a good polish and buff, but for the price point you can't go wrong. It is one big knife.